A water colour picture by Claude Buckle showing a rider and horse. 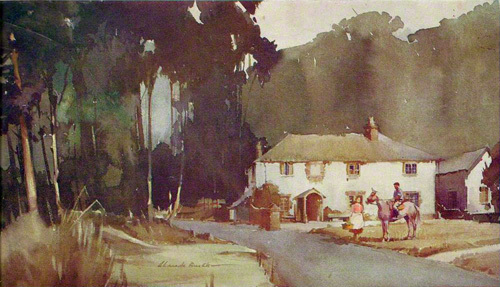 A water colour picture by Claude Buckle showing a rider and horse outside the Fox Inn at Tangley near Andover. Originally re-produced in the Artist magazine in 1963. This painting was very likely commissioned by the owners of the inn at that time. Created in 1963. 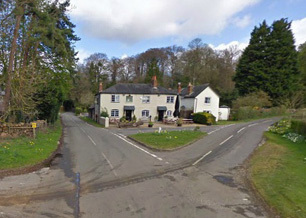 Photo of the Fox Inn at Tangley near Andover.